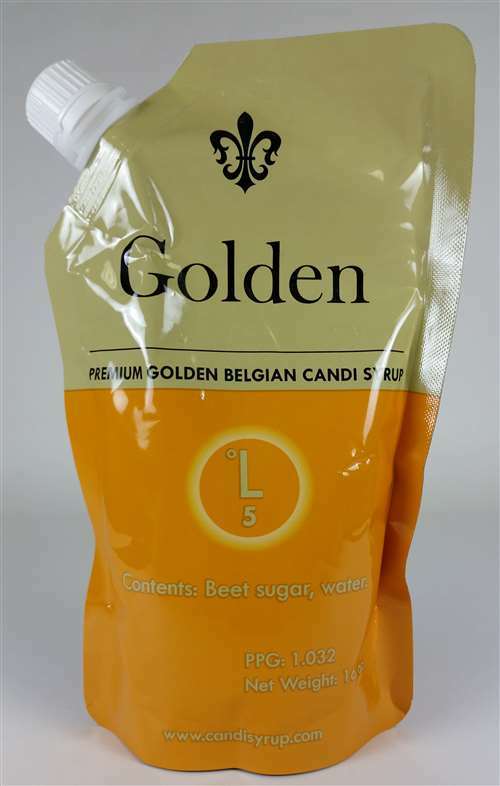 Golden Candi Syrup is a premium rich golden syrup that adds unique flavors. Golden is a rich translucent 24 karat gold and adds a pronounced caramel and light fruit palate to award winning authentic Belgian Tripels, Saisons, Golden Ales, and Bier de Garde. 5 Lovibond.